“Ensuring our customers are satisfied throughout the whole construction process is our main goal” – Fred Russell, Owner, CEO. Farwood’s customers appreciate the attention to detail, quality materials and techniques put into each phase of custom home building. 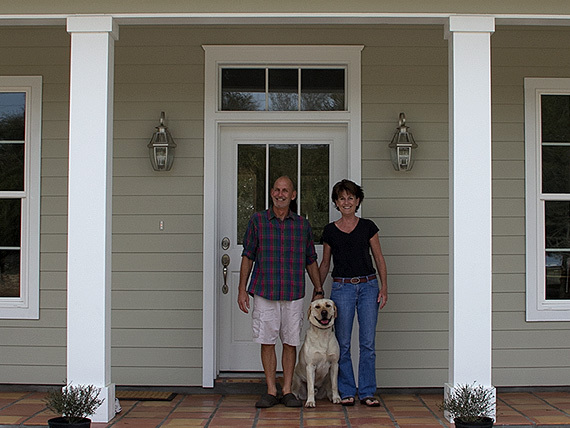 The customer service testimonials below showcase two custom homes designed and built by Farwood Home and Design. As you can see from the photos, both houses are completely different, but both are built on the same fundamentals of quality and customer service satisfaction. From designing the perfect house to fit on our lot, through the entire construction process, Fred Russell (Owner of Farwood) was honest, professional, thorough and precise. We would recommend him without hesitation 100%. The home featured is our second home built by Farwood Home and Design. Not only did Farwood design and build our house, they also helped us find the lot. We loved working with Farwood custom home builders and their team. Farwood Home and design was outstanding, they built a great home for us, and Fred’s trustworthiness was unparalleled. Several features of our custom home that we absolutely love are the natural hardwood finished floors, coquina shell driveway, bonus room above the garage, and the standing seam metal roof.